The woman in this picture just celebrated her 100th birthday. 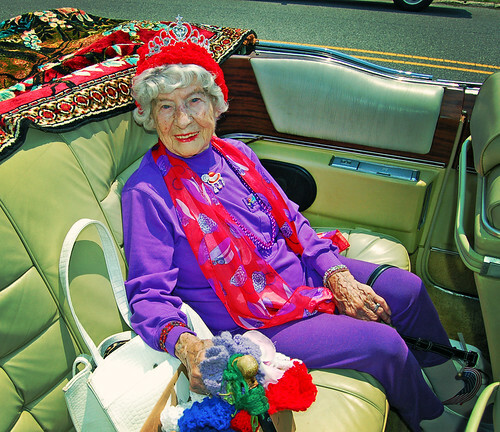 But she’s far from the oldest living American: that’s Neva Morris, of Ames, Iowa, who’s 114. They’re just two of the 84,000 centenarians living in the United States. It’s estimated that by 02050, the number of centenarians worldwide will reach nearly 6 million. And some say that half of the babies born in the U.S. today will live into the 22nd century. Obviously, this will pose new challenges for the workplace, social security, health care, and just about every other aspect of society.